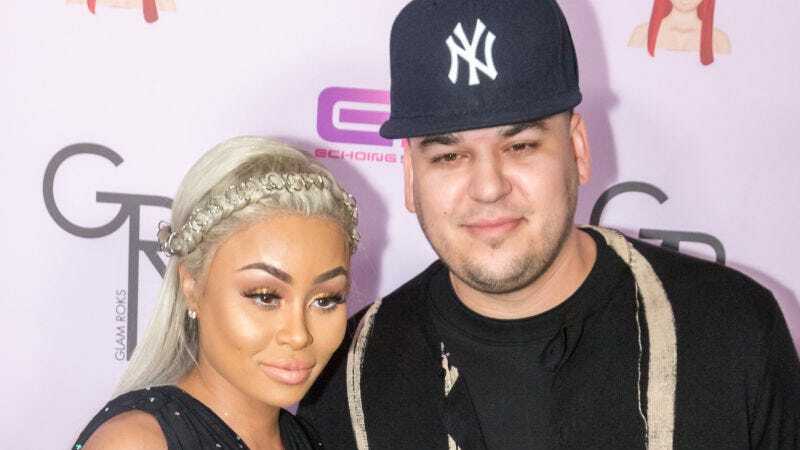 An Us Weekly item, which refers to Rob Kardashian as “The Arthur George sock designer,” confirmed on Wednesday that Rob filed a lawsuit against his former fiancée Blac Chyna, alleging assault, battery, and vandalism. Specifically, the suit claims that Chyna attempted to strangle him with an iPhone charging cable in December and punched him in the face. Before this incident, Chyna was allegedly playing with Kardashian’s gun whilst he FaceTime called friends. Kardashian also claims that Chyna caused $100,000 worth of damage to the house—in a continuation of the same incident, I think—including smashing a TV, a gingerbread house, and an iPhone. If true, this is very depressing development and the worst possible product placement Apple could hope for. Also, I looked into the socks thing and can confirm that it too is super depressing. Imagine a world in which our president watches Insecure, and not the one we have now, where the president just is really really insecure. And yes, that finale was mean.